The best way to buy a home without using bank -lender or Mortgage financing is with a Seller financing also known as MN contract for deed. This is where the seller carries the “note” Contract for deed and there is no need for huge closing cost. There are no points; No bank fees and escrow fees are minimal. Always use an escrow company who has experience with seller financing contracts. Finding a Home That Will Allow You to Buy a Home Without Bank or Mortgage Financing. In a buyer’s market, seller financing is a suggested selling tool by most Realtor’s, but not every home will fit into this criteria. 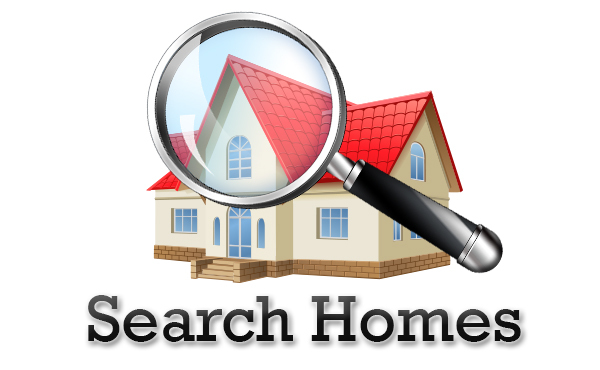 A simple way to find such homes is by doing a MLS -Multiple listing- Search mnhomescontractfordeed.com and find each home -Condo’s-Town homes-Hobby farms-Lake house-Cabins-New construction-Waterfront properties and much more. Experienced Real Estate Broker is a must. Most realtors don’t work with contract for deed properties. Why you say? It is a lot of work and it is not the same as just looking for a house with a mortgage there are less homes with owner financing. Also Realtors are basicly drafting your mortgage per say they write all the terms of the contract which is very important to have the correct wording on the correct forms that are licensed by the Minnesota Department of Commerce. 2. We specialize in contract for deeds we work with contracts on a daily basis. 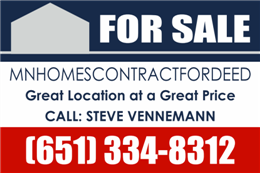 Craigslist.org-Hot pads-Google-Yahoo-Bing-Ask-MSN-Yelp-Facebook-Myspace these sites you will find a home contract for deed for sale in Minnesota – Rent to own MN – lease to own. We have the largest selection of cd properties. 4. Seller Financed Mortgages-Contract for deed-Wrap around mortgages. It is always good to be represented by either a Broker or Attorney when purchasing any home. It is impossible for a non licensed person to know all the legal terms used on purchase contracts and escrow instructions. Let your agent do the negotiating on terms and arrangements for seller financing to buy a home without a bank. A knowledgeable Real Estate Broker will know the contingencies to write in to protect you when buying a home without a bank. We don’t recommend agreeing to terms verbally all terms must be put in the contract. Whatever is in the purchase agreement will be put in the escrow instructions the title company will draft the contract or a law office what ever the parties agree to. 6. What contingencies should the buyer put in the contract? When trying to buy a home without bank or Mortgage financing Contract for deeds, remember to always use an escrow company who is familiar with this type of financing to protect all the parties. Do not quitclaim the deed into the buyers name until the loan is paid in full. Set up a third entity to hold the deed and thus safeguarding the rights of all parties. Also, request a Owner title policy to make sure the seller of the property is the only legal owner. Buying a home without a Bank can be easy, less expensive -if done correctly. Closings can happen very quickly some are 14 days to 30 days depends if the house is occupied or not. Is the time to sign the escrow instructions, pay the amount of down payment requested and get the keys to your new home. It is important to take a cashier’s check usually made out to buyers name to sign over at closing for the full amount owed. Sometimes the cashiers check might be made out to a different party make sure you talk to the title company or law office who is doing the closing to see who the check is made out to. After signing the papers and paying the money, the seller will turn the keys over to you. In Minnesota it is the law to record the contract for deed. There are many different types of payment formats can be found. We structure the contract offer to purchase that benefits our clients. In a standard Conventional or FHA mortgage,VA-Rural loan there is an agreed upon price and payment schedule, but the payments amortized over 30 years but there is usually a balloon payment with 3-5 years when the home buyer must payoff the contract-Refinance the contract or sell the property. Also known as an installment purchase contract or an installment sale agreement. Land contracts are often used by purchasers that would not otherwise qualify for a FHA or VA or Conventional Mortgage, or by Investors who own multiple homes and cannot qualify for more investment properties. Self employed-credit challenged buyers-had a foreclosure or Short sale on their credit in the last 3 years. How much money do I have to put down on a contract for deed in Minnesota or Wisconsin? The home owner usually wants around 10% down of the sale price to enter in a CD or installment contract with a purchaser. Owner financing works in all counties in Minnesota. We can help you find a property if you have the 10% down of the sale price of the home you are seeking. 9. Home ownership better than renting or leasing-take pride in your home by not paying off the home for the landlord. 10 Easy qualifying with good or bad credit-It is much easier for buyers to qualify for a CD than a traditional Mortgage. Banks traditionally require good credit and a proven history of stable monthly income. If a buyer self employed and runs their own business. If a buyer is experiencing or has experienced a bankruptcy, divorce, foreclosure, or credit issues then they will have a difficult time qualifying for traditional financing. Owners who sell their homes on a CD understand that a buyer is unlikely to have perfect credit. 11. Principal reduction paying down the cd- Land contract payments are structured similar to a mortgage. When the buyer pays the seller their monthly payment it will contain principal- interest taxes and insurance in most cases. 12 Lender or bank fees When a buyer obtains a mortgage from a traditional lender. These fees may include; points, origination fees, appraisal fees, credit report fees, document prep fees, administration fees, a lender’s title policy, and more. When buying on a CD, the buyer avoids these fees. 13. Quick closing -The buyer and seller are do not have to deal with a lending institution to fund a loan on the property. they avoid the typical delays that hold up a closing such as second appraisal, repairs to the property sometimes banks want more documents at the last moment and could delay the closing. 14. Tax benefits of ownership -The buyer May deduct the interest paid on their tax return. The buyer may improve the property such as painting-adding a fence-finish the basement, add fireplace-deck-remember to check your cd there usually is a clause in there stating an amount the purchaser can add with out consent from the seller. Usually the buyer will have to provide proof there is no liens on the property for repairs. CD gives a buyer the opportunity to improve his or her credit. We recommend getting 2 credit cards so the buyer or buyers can build credit fast. In Minnesota there is no prepayment penalty so the buyer may pay down the cd quicker if they like. The buyer benefits from any appreciation on the property meaning if the value goes up the buyer will benefit from that.If the buyer sells the home before the contract expires the buyer will be able to keep any equity in the house. Our company is based in Pine Springs its suburb Saint Paul located in the twin cities metro area. I have been in business sense 1996. View 100s of contract for deed listings on our company web site. Real estate thru out the entire state.